According to the World-Class Sales Practices Study, only 53% of sales people are meeting or exceeding their quotas. The reason? Modern buyers are changing substantially faster than sales organisations are adapting. Modern buyers are looking elsewhere to solve their business problems with less than a quarter (23%) of buyers selecting vendor salespeople as a top three resource to solve business problems (2018 Buyer Preferences Study). Over the last few months we've been working alongside the SAP UK marketing team to digitally up-skill their organisation and embrace a social business approach in everything they do from employee advocacy, content marketing to social selling. That's where I met Lee Welch - one of the most modern sales leaders I have encountered on my Tribal journey so far. Lee is transforming his profession in so many ways. He's actively encouraging his team to embrace digital techniques because he recognises that modern buyers want relationships with trusted advisers. They don't want to be sold to. Quarterly targets will drive quarterly behaviour. Short-term, quick wins. One-off training is not the answer. Ongoing support will embed behaviour change over time. There are only so many meetings, calls and emails you can fit into one day. Peter Grigalis from SAP summed it up perfectly. "Don’t think you’ll double your business by doubling your quota carriers. GET SMART and engage your market with thinkers and communicators who can get you to the party. You have to innovate your B2B approach to thrive in the new market." It's important to note that modern sales leaders don't have to practice all aspects of digital selling to lead a team of social sellers. They need to understand it, practice some of it but most importantly, encourage it. The social age is disrupting business models across all markets. To stay relevant in your industry sector and with your customers, you need to constantly build your knowledge. Social media is a great resource for listening and learning about your customers. Smart use of triggers, searches and alerts enable you to target your time efficiently. This means you can engage with your team online, publicly show support for their activity and endorse their efforts. They'll notice your engagement and will encourage their behaviour. At the very least, create a good digital first impression on LinkedIn and Twitter. It's your role to support your team with building relationships at a senior level within customer accounts. These customers are likely to research you online as much as they do your team. Create a customer-centric profile to strengthen your credibility. This involves optimising your profile with keywords, creating a summary/bio that speaks to your customers issues and contribute to conversations your customers are in and interested in. It's okay to show personality and passion for your role. People buy from people. Buyers expect to passion and purpose in the stories you tell online. They're looking for authenticity in the content you're sharing so think carefully about the niche you want to build your brand around and be passionate about it. Randomly sharing articles to your network without thoughtful consideration for your audience or personal brand will make you irrelevant. Take time to understand your story. Lee openly admits that “Digital Selling will be the #1 skill that I will be looking for in my future hires - that’s how important it is”. Your future sales team will need to be digitally savvy, well connected and actively engaging their network. Luckily for you, it's easy to assess if your new hire is a proficient social seller. Go check them on LinkedIn and Twitter before shortlisting to interview stage. 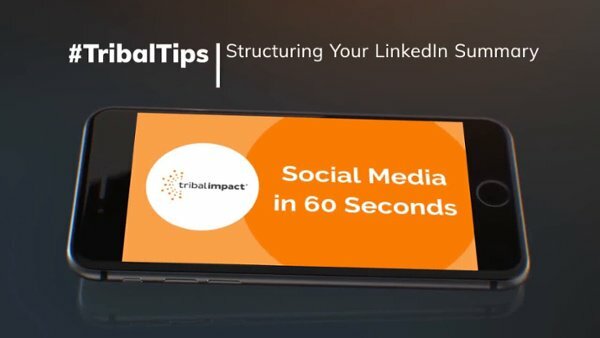 Save time and hire social savvy. Create a digital culture within your team by reviewing your teams LinkedIn Sales Navigator metrics on team calls. Support individuals on 1-2-1 calls to understand what's challenging for them. Is it finding time? Not knowing how to do something? Understand the social media learning journey that your team is on and recognise the stage each individual is at. Once you know where your team is at, gradually move them onto the next stage. Push them a little further each time by giving them something new to try. Lee suggests hosting 'digital days' to replace 'calling days'. Everyone is in the room with their head down dedicating time to learning and engaging with customers online. Superb idea! Finally, there's no point investing time unless you measure the impact but it's important to realise that results don't come quickly. You're running a marathon, not a sprint. One LinkedIn post won't win new business next week. Remember your team is building a pipeline of relationships - not revenue. Give them space and freedom to shift their behaviour and consider measuring in stages. Ultimately, with the right technology stack, you can track from first touch to won/booked. By linking your advocacy tool, Google Analytics, marketing automation system through to your CRM this is completely possible. We do it and we've seen our customers do it. If you want to learn more about best practice sales leadership, I suggest you follow the work Lee Welch does on LinkedIn and on Twitter. Watch and learn how he engages with others and shares content that speaks to his passions and interests.